Singapore is an island country with a busy airport, and the busiest shipping port in the world. Most travellers come to shop, but not me. 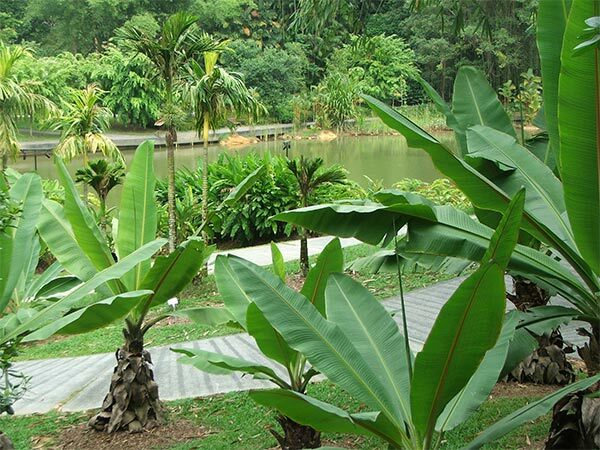 My reason was simple - I came to visit the Singapore Botanic Gardens. New Zealand is so far away, embarrassingly stuck at the bottom of the world map. Singapore is for me the ideal stop-over on my journey north to the big land masses of Europe and America. 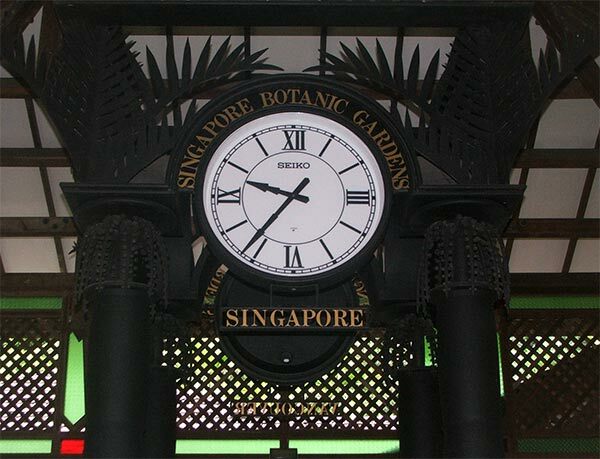 On my very first morning I took a friendly taxi to the Botanic Gardens, arriving just after nine thirty. I joined a host of other appreciative visitors for a happy, hot three hours, surrounded by tropical plants, flowers and trees. The early British history of the gardens is well documented - colonial powers like to take all the credit! 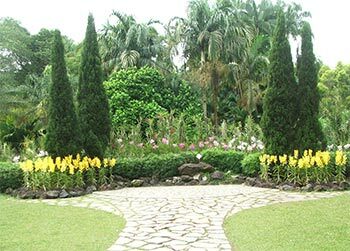 But the part the Botanic Gardens played in the 'greening' of Singapore into a Garden City campaign, run during early independence years, is even more important. Now the gardens are rightly a tourist attraction, and soon there will be a train station to make access even easier. New developments like the Evolution Garden add interest to a place already full of wonderful plant-life. There is a rich diversity of visitor tempi - from the adagio of the morning Tai Chi groups to the bustling allegro of red-faced lady joggers. I took up my visiting-a-tropical-country speed - a graceful andante, brow-mopping handkerchief in hand, and went to meet the gardens.